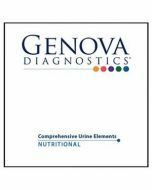 The Comprehensive Urine Elements Profile assesses the urinary excretion of 15 nutrient elements and 20 toxic metals, acquired through either chronic or acute exposure. 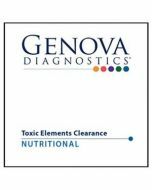 This is an ideal test for patients suspected of toxic metal exposure as well as potential nutrient deficiency. In addition to the classic elemental toxins, this profile also measures newer technology toxins used in commercial, industrial, and medical science, such as gadolinium which is used in manufacturing for computer memory, compact discs and medical imaging (MRI). Accumulation of toxic elements can occur in the body in response to occupational and environmental exposure and from toxic release in air, soil and industrial waste. Evidence suggests that toxic element exposure can adversely affect respiratory, renal, hepatic and immune function and compromise cognitive and neurological health.